Free Giveaways for San Diego Comic Con! 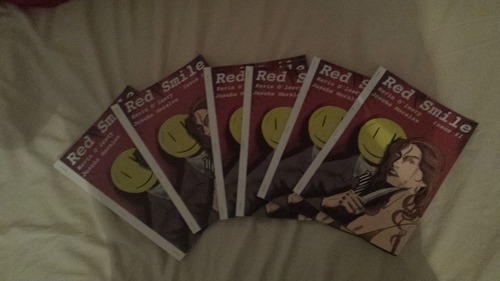 I am heading over to San Diego Comic Con next week so I made a whole bunch of sneak previews for Red Smile that I will be giving out for free at the convention! Also here is a new banner image for the series and the original concept art for one of the Smiley Face Masked Intruders! Red Smile: An Original Comic Written By Me! I just realized today that I don’t think I have ever plugged my upcoming debut comic series called Red Smile on this blog so I thought that today is the day to do it! Red Smile will be a four issue horror comic mini series. The series is about a detective named Holly Decker whose parents were murdered by a serial killer called the Red Smile when she was young. The first issue takes place years later when Holly is an adult and is attending a retirement party for her boyfriend’s dad. 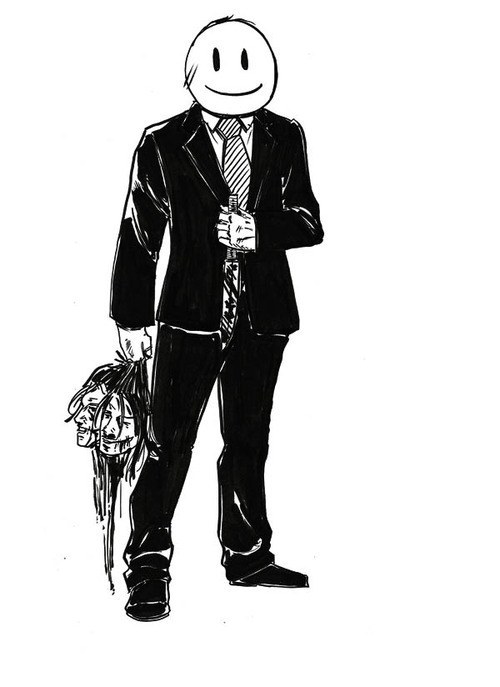 While at the party, a large horde of people wearing smiley face masks appear outside of the house they are in and the masked people begin killing the party guests in the same way that the Red Smile kills people. Holly is then forced to figure out a way to get out of this situation as she tries to discover who these people are and why they are attacking the party. The whole series is written by me and all of the art for the series is being done by Joseba Morales. Issue 1 is more than half way done and should be out by the end of the summer! I’ll post updates on the Red Smile series as it progresses! I know this comic series is not X-Men related and this is an X-Men blog, but this project is very close to my heart and it is comic related so I thought I’d share the comic creation process with you guys occasionally while still mainly reviewing the entire Uncanny X-Men series. What do you guys think of the cover for Red Smile Issue #1?